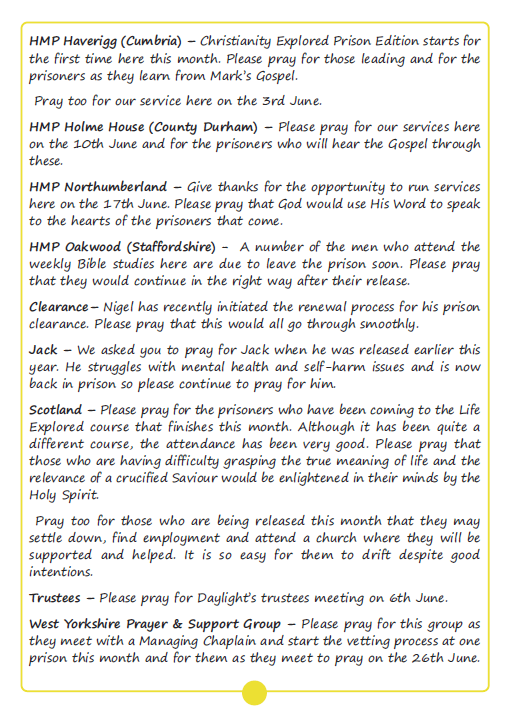 Below is our June Newsletter. 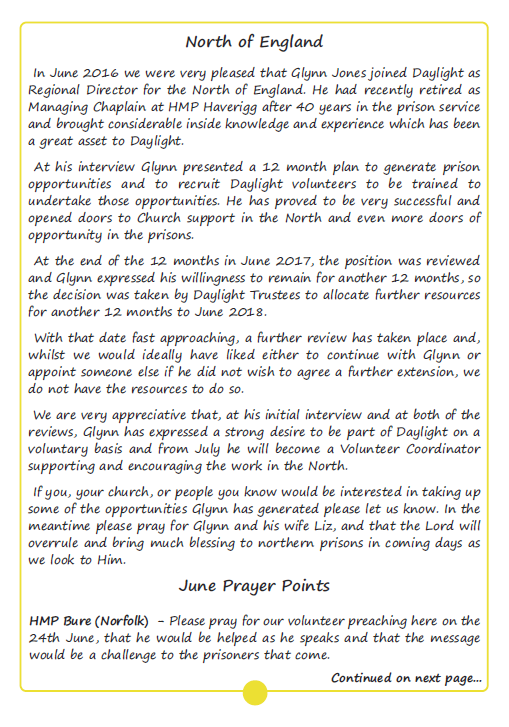 As well as items for prayer, this month we look at some changes in the work in the North and continued encouragements from Bible studies. 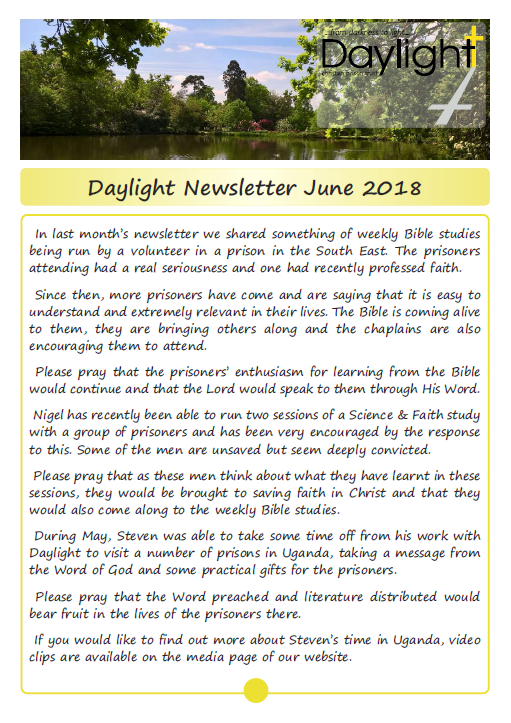 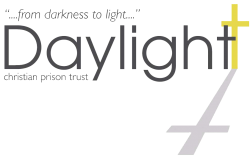 Please pray for our services, Bible studies and Christianity Explored courses during June and continue to pray that needed resources for the work would be provided each month.